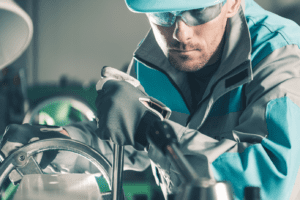 Given the choice between Press Brakes and Folding machines, customers usually need some guidance on what is the best purchase for them. 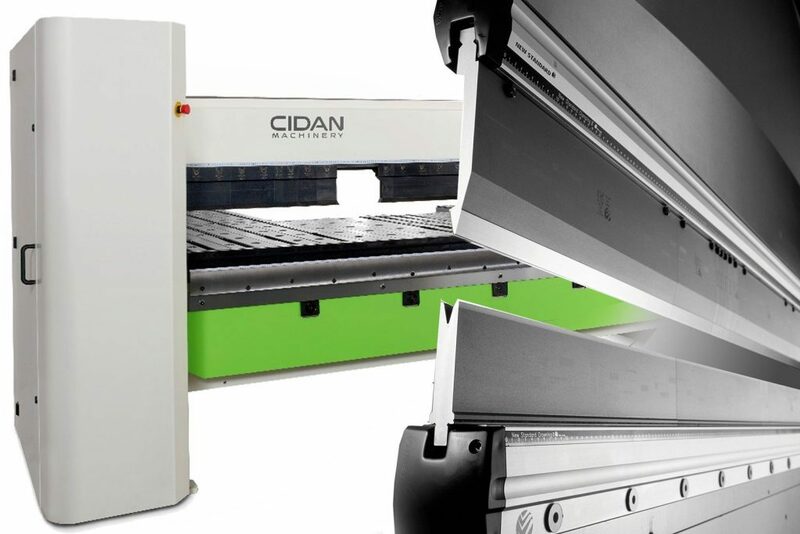 It is generally accepted that folding machines such as the range available from CIDAN aren’t as fast as their press brake cousins, but because the operator doesn’t have to support the weight of the piece being worked on, they are not suited to processing large bulky parts. Folding machines may not be the fastest means of bending and forming sheet metal, but for low to medium production cycles, they can provide an efficient and consistent throughput. Additionally, because the equipment operator does not need to support the weight of the material during the bending cycle, folding machines are well suited to fairly large, bulky parts as well as smaller components with ease. 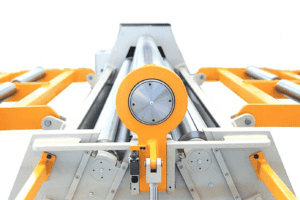 One of the major assets of CNC folders such as the CIDAN, however, is the fact that, being fully controlled, part quality is not dependent on an operator’s skill. Without the need for operator intervention, provided the part to be folded is supported in the correct position – a factor usually controlled by materials stops anyway – your CIDAN will produce identical parts again and again. The CIDAN range offer full computer control on all elements of the fold, including location, angle of fold, radii, and spring-back factor, so operation of the machine can be carried out by lower qualified staff with only a short introductory training course, leaving your qualified and skilled operators doing jobs much closer to their abilities. However, some of the most notable things about a folding machine are the things that you don’t normally notice; offering fast start-up time and low noise, CIDAN folding machines only draw power when they are actually operating, so can be a huge saving on energy bills compared to a press brake. That can amount to as much as 1500 to 2000 hours extra energy usage with a press brake, just to keep the hydraulic system running and ready to use. Furthermore, CIDAN folding machines are electro-mechanical and don’t use oil so cut down considerably on maintenance costs and don’t require yearly downtime to service the hydraulic system. Of course, a folding machine is intended to carry out long runs of a set-up rather than changing to a new set-up after twenty or fifty pieces as with a brake press, but that doesn’t mean that alterations to the working parts are hard to do, and new bends can be configured quickly and with minimum fuss. 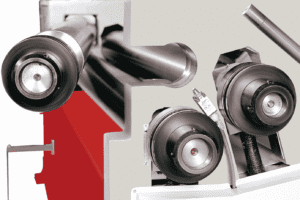 Designed specifically to be flexible and easy to use, CIDAN folding machines are robust and capable of delivering quality products again and again. The CNC side of the CIDAN folders is easy to program and update, so modification to trial parts can be carried out quickly and efficiently, making prototyping easy to do. CIDAN products are only available from a select few distributors around the world, of which Selmach Machinery are proud to be the UK provider of these superior alternatives to the Press Brake. Sometimes, the extra power or flexibility of a press brake is essential, but in most cases. Businesses can achieve the same level of accuracy and production throughput using a powered folding machine, and if that is the case with your business, you need look no further than the CIDAN range of machines.